Happy Halloween from Kinderhook. 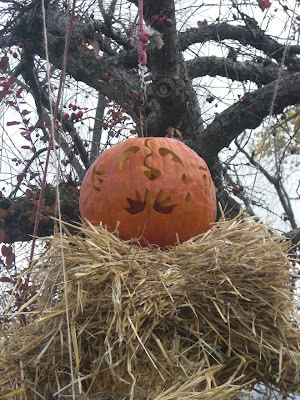 The village is decked out in it's scariest finery. 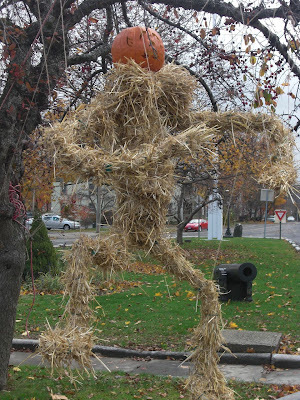 Our local landscaper Herminio, rigged up this super puppet scarecrow for an extra scary touch on the village green. BOO! How cool is the face carving? In motion it's really fantastic.